Important! Select user role. Go to -> Admin Panel -> Settings. In order to be easy to use the theme doesn’t have additional post type. It uses the posts in WordPress. 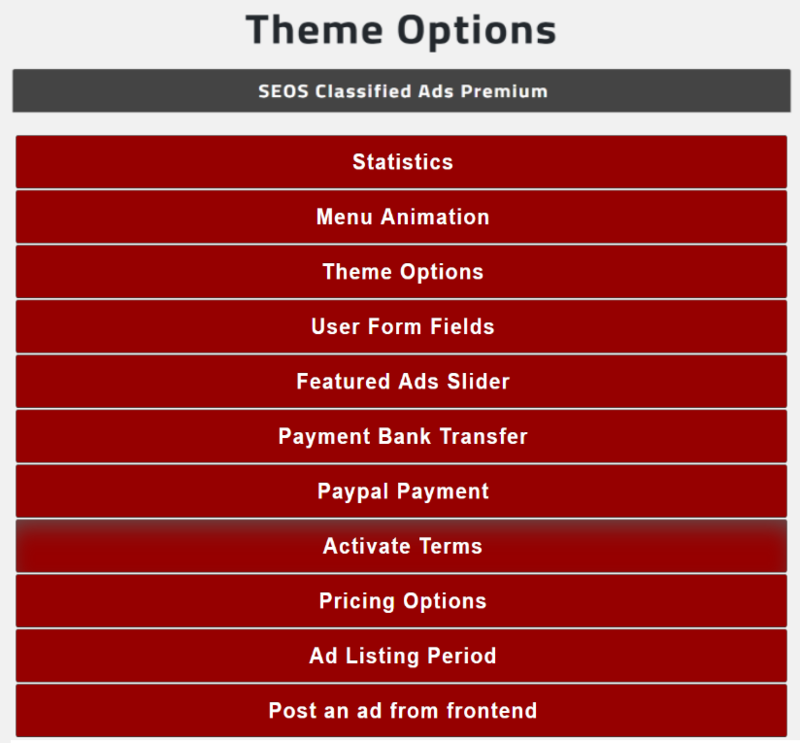 You can change the colors of your site easily using our Classified Ads WordPress Theme. 6. 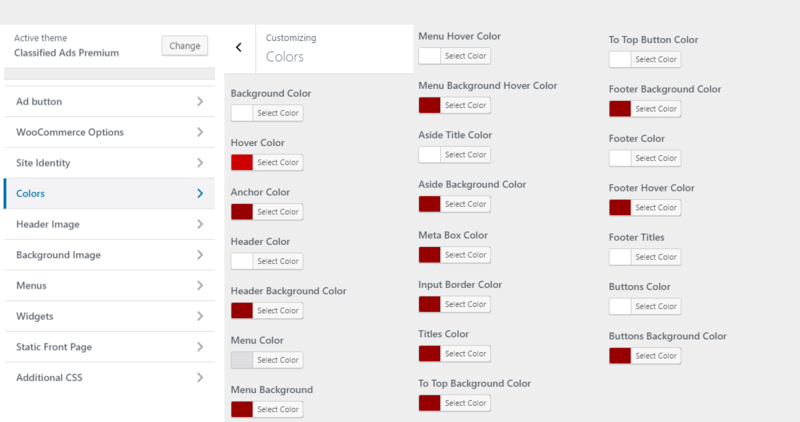 Should you wish to create your own color scheme or modify an existing one, you can by selecting the colors for each area listed. There is option pay with paypal. Please go to Theme Options -> Paypal Payment and Enable PayPal payment. Then add your paypal account email address and configure other options. 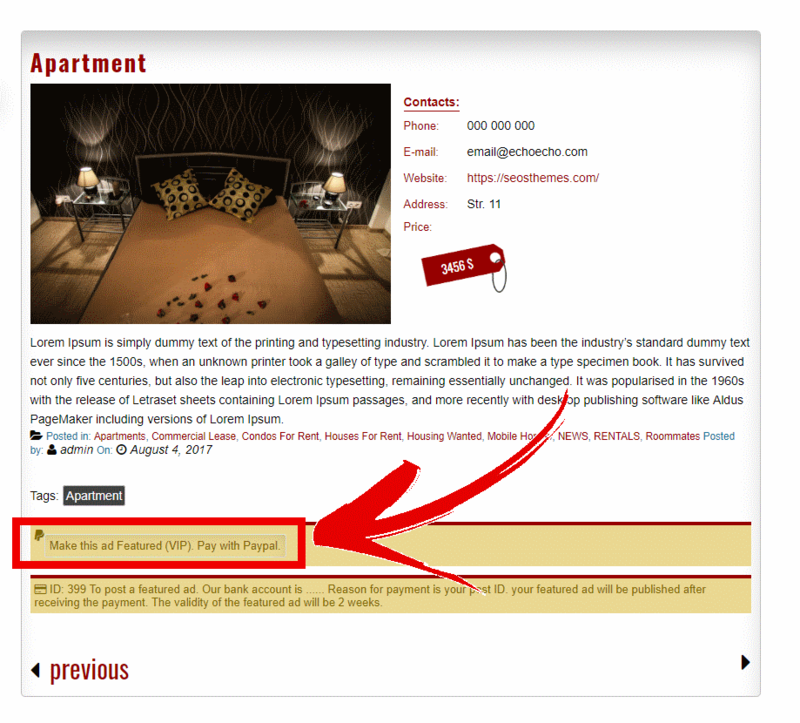 Then go to your ad and see the image below how to make the ad featured. 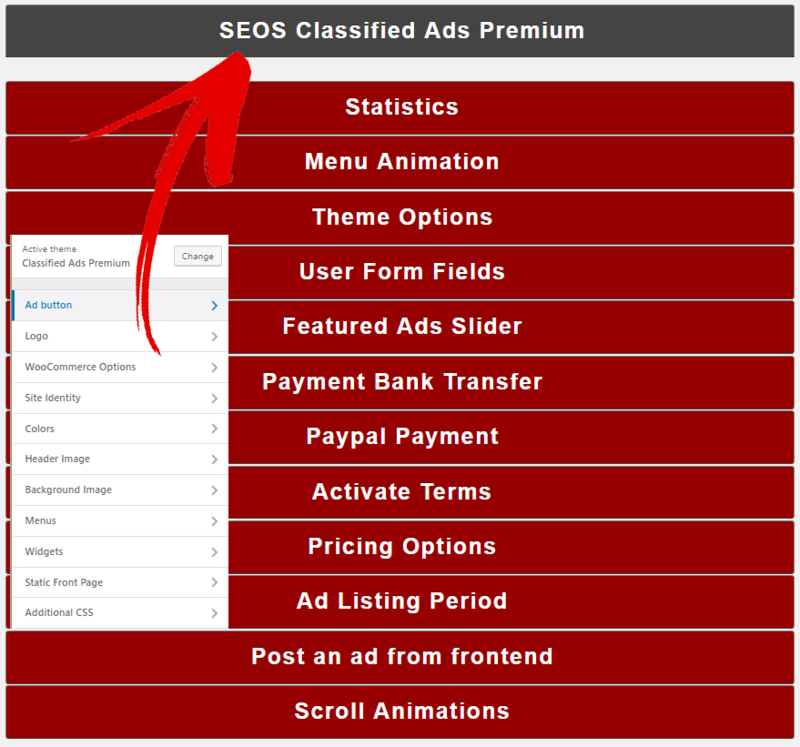 Our Classified ads theme is made exclusively simple in order to be user friendly. 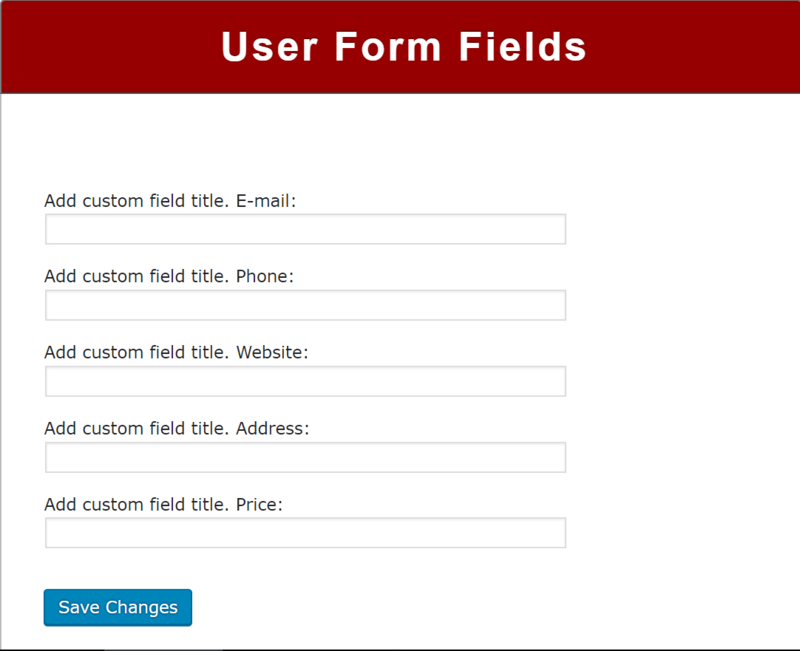 In our Option panel there are five fields (E-mail, Phone, Website, Address, Price) which are given by default but the fields’ names can be changed with names at your own choice. 1. 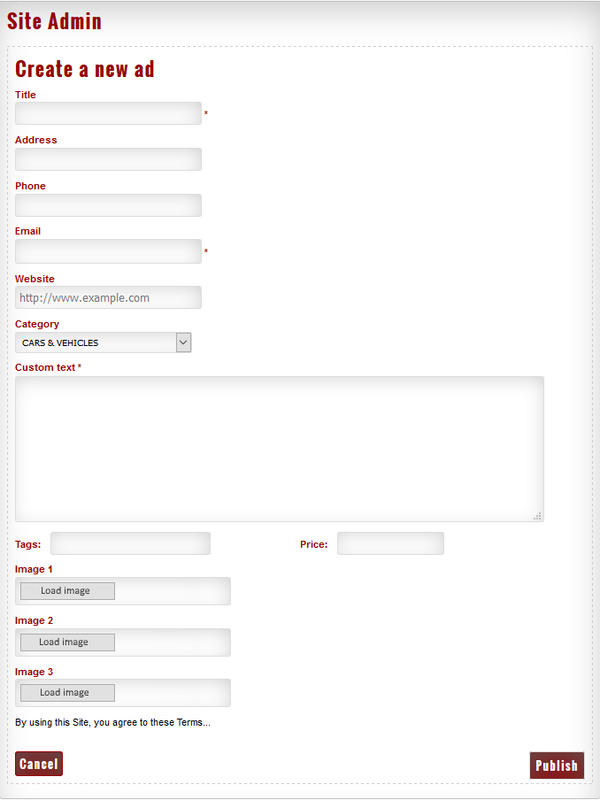 The user registration form not appear? 2. How do I change the color scheme? 3. 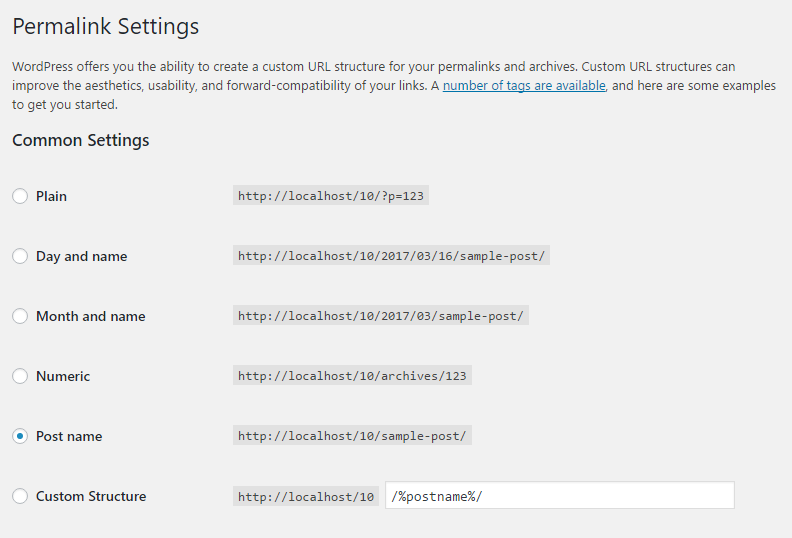 How to Install WordPress Theme? 4. How to create sticky post? 6. How to Post an ad from frontend?